Southwest Orlando Bulletin is a free, bimonthly, direct-mailed newsmagazine that has been in circulation for more than 22 years. In addition to editorials pertaining to their advertisers, the publication's content also highlights residents who reside within their readership area and local events and issues. Southwest Orlando Bulletin prides itself on being the heartbeat of Southwest Orlando. In Utah This Week is distributed weekly and is available in racks and outside of businesses in and around the Salt Lake City area. Features include entertainment, lifestyle, shopping, events calendar, contests, and more. Congratulations to the winners of Verified's Media Planner Survey. The survey asked approximately 1,200 media planners and buyers what influences their media-buying decisions, what factors were most important in those decisions, and how audit companies and publishers could make this essential information easier to get and use. The survey was conducted from November 8, 2007 to November 30, 2007. 3rd Prize – Heberto Gutierrez, INVENTIVA, Inc. Results of the survey will be published in a future edition of ViewPoint. If you have any questions, please contact Verified at 415-461-6006. 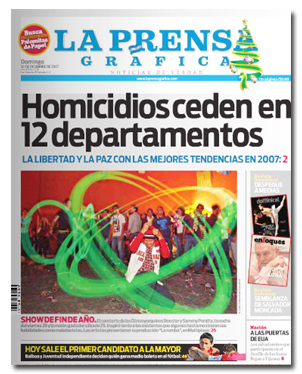 One of Verified's clients in El Salvador, La Prensa Gráfica, won the 2007 World Young Reader award given out by WAN, a Paris-based global organization for the newspaper industry. WAN represents 18,000 newspapers, and its membership includes 76 national newspaper associations, newspaper companies, and individual newspaper executives in 102 countries, 12 news agencies and 10 regional and world-wide press groups. We asked La Prensa Gráfica to share with ViewPoint some of the inspirations and ideas that lead to this successful issue. Q: Who came up with the idea and design for the youth edition? A: The idea for this youth edition came from our newsroom manager, Gabriel Trillos, along with a magazine editor, the design director, and graphic editor. At first, the idea was for just a single page with youth-related themes. Later, the newsroom manager expanded upon that idea. He took it to another level by proposing the special "A Section" theme on the first page of the newspaper and also several stories about young people at the bottom of different sections in the paper. After that, the staff ran with the concept. The design team came up with the layout of the special edition and the concept of the "magazine-like cover" for that day's paper. They designed the look of the inside pages, the selection of colors and typefaces, etc. Q: What type of content was included? A: The "A Section" theme was a forum where young people were asked about politics, education, welfare, and other important issues. For example, we asked them to share their thoughts about general security. We asked their opinion about whether or not it was okay to use a gun in case of an emergency or social unrest. Inside of the paper were success stories, first-person accounts, lifestyle profiles, and information relating to young people's lives. We placed some of the stories at the bottom of the hard news pages and some in the soft news sections. In addition, every section's front page opened with a youth-related theme. Q: Who chose what content will be included? A: The newsroom manager, the newsroom chief, and the section editors. Q: How did you pick the young people who worked with you to create this special edition? Contests, teacher recommendation, etc.? A: We chose them by recommendation of different editors and journalists who were in touch with young people and the National Youth Institution. Q: What made the youth edition different from your daily paper? A: That day we tried to present young people's voices, points of view, and attitudes. We even designed it with more space and color than the regular paper. It was great to have the usual content mixed in with young people's stories. We even had young people write some of the pieces in the opinion pages that day. Q: Does your daily paper include a section for children on a regular basis? A: We have two daily sections called Fama and F5 that targets young people. On Sunday, we have our weekly kid's magazine called Palomitas de Papel. In addition to the daily paper, we publish two magazines aimed for a younger demographic: Campus and Blur. Q: Why do you think this special edition was so successful? A: Because it gave a glimpse of the new mentality and trends in the newspaper and obligated us to think more in other types of stories that are good to look and write about. It also offered an opportunity for teenagers to express themselves in a print and web mass media. Q: What does this honor mean for La Prensa Gráfica? A: It inspires us to work even harder in order to reach young readers, to be more creative and diverse in our ways to reach them, and to make a more interesting and attractive newspaper for them—and have fun doing it. According to a survey by Gundersen Partners among 377 marketing and general management leaders on new and emerging media, about 45% of the respondents allocate less than 10% of their budget to new media. They indicate that this spending mix will shift significantly to only 20% allocating less than 10% of their media budgets to this area. The expectations are that 52% of the respondents plan to spend 10 to 30% and 28% plan to spend over 30% on new/emerging media. The study defined traditional media as television, print, radio, direct mail, and outdoor versus new and emerging media, which includes online. 80% of respondents plan to achieve their ideal level of new/emerging media within 2 years, and 35% plan to achieve this ideal goal within 12 months. Information is the key hurdle to closing the gap faster. Of the hurdles mentioned, 40% cited insufficient knowledge and 33% stated not having enough time to evaluate. According to the study, agencies did not score well in meeting advertiser information needs for "educating and exposing clients to new/emerging media". The gap in the knowledge base of most advertisers with regard to new/emerging media, says the report, exists not only because of the wide variety of options, but also because of the constantly changing dynamic nature of the space. Given the amount of change, metrics do not generate the same level of confidence as in traditional media. 70% of the larger advertisers, those spending $50MM and up on media, were more comfortable with current vehicles. These respondents reported satisfaction with the measurement of traditional media, while their level of satisfaction was 60% for measuring new/emerging media. The study summary observes that, given the uncertainty over the relative value of alternative media, many new/emerging media firms are willing partners to testing. Promote your audit by posting the Verified logo on your website. The logo allows you to link to an exclusive page on Verified's website that explains the value of audited circulation. You can also link to your latest audit report so advertisers have easy access to your audit information. Click here or on the logo below to go to the landing page. So what does displaying the Verified logo mean? It means that you're committed to the highest standards of accuracy, transparency, and accountability. 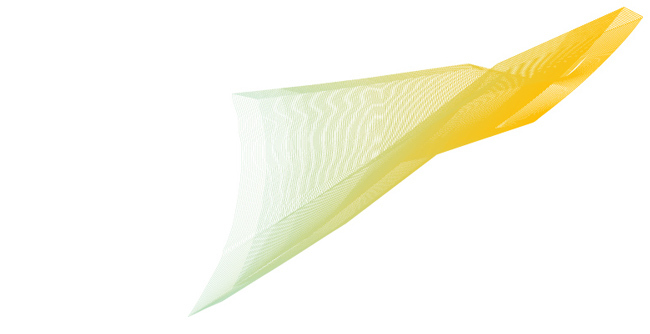 For over fifty years, Verified's logo has stood for leadership, innovation, and integrity. To include a web-ready logo, please contact Verified at 415-461-6006. Verified defines Target (Bulk) distribution as delivery of five or more nonaddressed copies to a single location that are available to the public at no charge. 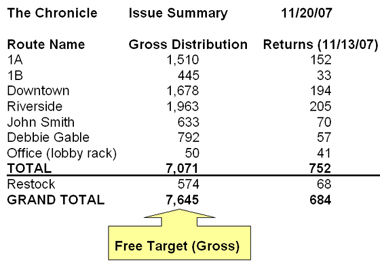 To accurately report Free Target (Gross) on the QPD, you will need to ADD the total number of copies distributed from the individual route sheets. The total number of copies distributed on all the routes is the number of copies you should report as your Free Target. If there are adjustments to the drop totals (location out of business, broken racks, extra copies delivered, etc. ), this should be noted on the individual route sheets by the drivers. This type of variation between projected distribution and an actual distribution is common. Adding these updated figures should be the basis for posting to the QPD. Subtracting other types of distribution (mail, carrier, office use, etc.) from the total printed and posting the remainder as Target is not the correct method for determining Target distribution. Creating a one-page summary for each issue makes reporting on the QPD simple and is very helpful during the audit. � 2007 Verified Audit Circulation.